Live and on-demand video to engage reps with the coaching and content they need. 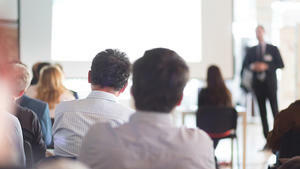 Ready to drastically improve the ROI of your sales training? Up to speed. On message. Over quota. Every time. Create simple, straightforward microcourses with incentives to measurably accelerate your sales ramp time. Ditch tired, curriculum-based training for modern video learning that your reps will actually retain. 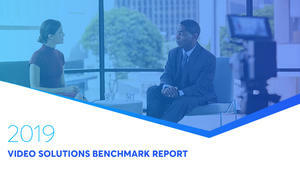 Feature top sales leaders on camera to demonstrate best practices for novice reps.
Save time and money by livestreaming interactive sales kickoffs and quarterly updates. "We used to get so many emails per day with asset requests. Now there’s a one-stop shop." "We’ve got tens of thousands of retailers, a hundred plus distributors, and all of these people need training and education. 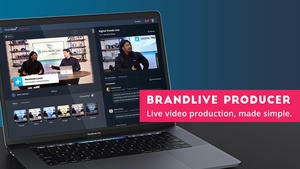 The value that Brandlive brings is insane." >> Explore features of the video learning platform. "We’ve been able to engage 1250 dealers all at one time. The return on investment truly is immeasurable."